On the blog today I am taking a few of my summer favorites out for a final spin. I am not a big straw bag carrying girl, but this little cutie stole my heart. I honestly think this bag is tolerable for me because it's the perfect compact size, and it's not entirely straw. 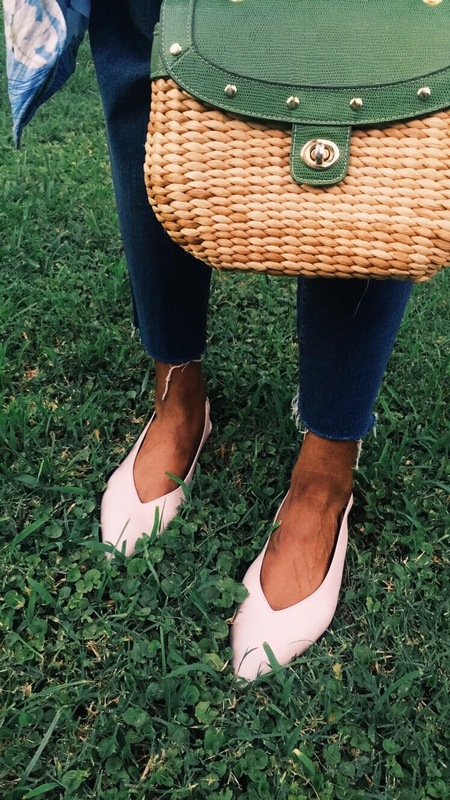 Straw bags were very big this summer thanks to the all coveted cult gaia bamboo handbag. Literally every influencer across the globe were on Instagram posing with the cult gaia handbag. Next up, I wanted to introduce my vintage robe to the blog. The kids nowadays call them kimonos, but this baby is a robe. I paired my robe and straw bag with a basic white cami and straight leg jeans. I kept the outfit very simple. The light blue robe has amazing details, large white magnolias trimmed with sequins. It's also lightweight, and perfect for layering. 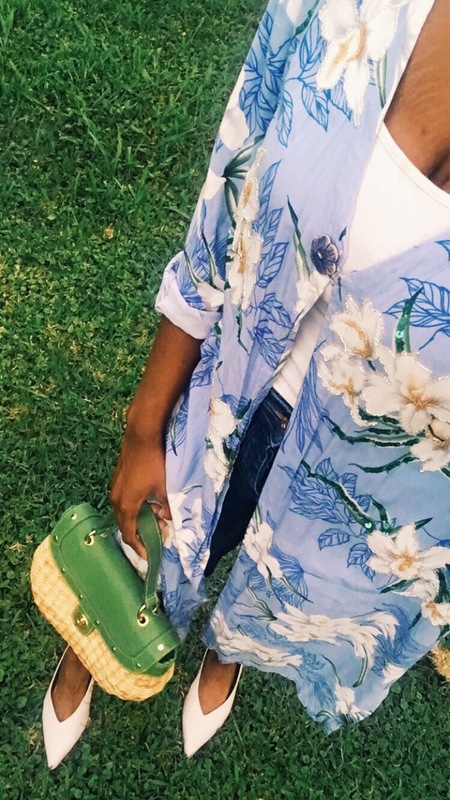 I would encourage you all to invest in a robe or kimono to layer in when transitioning through the seasons.